One can tie the RT’s ongoing downward spiral to the print industries issues brought about by the electronic media and 24-7 TV news, however, the RT management and editors bear a major part of the ‘credit’ for the RT’s decline and malaise. What other business goes out of their way to alienate 50% of their potential customers? Over the past 25 years that I have read the RT, their slant and bias embracing and promoting everything progressive and liberal has been their hallmark and brand. Many potential customers have viewed this as a stark promotion of an economic, political and social agenda of the left-wing and not fair and balanced news. • It has no pets to reward and no enemies to put down. • It will endeavor to be truthful. • It is the mouthpiece of no order, corporation, party nor clique. • To the fostering of our infant manufactories, to the development of our mineral resources and the cultivation of our fertile fields, must we direct our best efforts if we would make this Southern land of ours blossom as the rose. A fair and open and transparent media has been a vital component of our Democracy. Loosing that important part of our society represents a clear and present danger to us all and our way of life. Hollywood Emulates ISIS! How Sick Can They Get? This is what “Liberal Arts” is all about? This is what New Yorkers go to Broadway to pay big bucks to see? What nasty and dangerous people these Loving-Liberals really are! Then again they’re the same ilk as those at the DC Kennedy Center proudly displaying Jesus in a jar of urine! Has the American media ever performed and published this kind of vile and dangerous actions toward a President? Do these vile and nasty people have any sense of personal responsibility? Imagine the Pravda Media and Secret Service reaction if anyone did this to Obama! 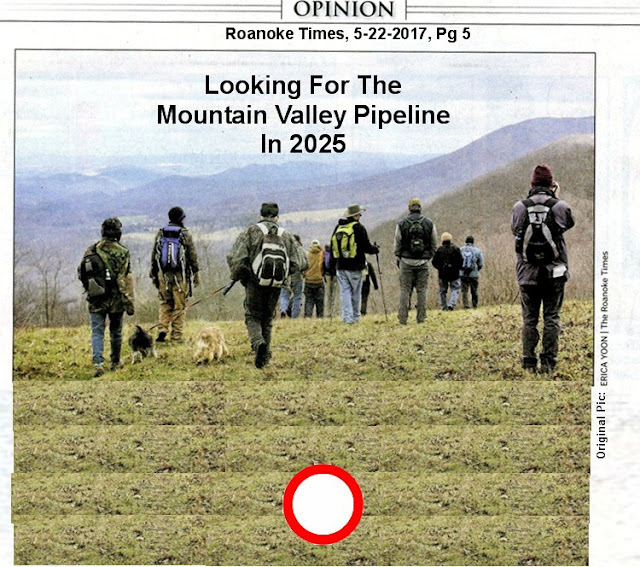 Big half-page editorial on what to do with the economic disaster in Virginia’s coal counties that actually extends through Roanoke and Virginia. RT Editors: You-all were happy and elated with the Obama-Hillary Big Ideas to bankrupt and shut-down every coal mine in the country! So like your feminist mom’s back in the 60’s, you burned your bra and now you want support! Where were your Big Editorials telling Obama and Hillary about the obvious major negative adverse consequences to their Big Ideas? Apparently much too busy supporting their elections! Perhaps instead of opining about the outcomes of the Obama-Hillary Big Ideas on killing coal, you should get in you Prius’ and drive out through the coal country of Virginia, West Virginia and Kentucky telling all those folks why you embraced and supported the Obama-Hillary Big Ideas and their elections. Might be a good time to do some polling to see how many of these union-democrats are going to vote for Trump’s reelection. So much for Mr. Yancey’s (editor RT) “alleged” war on coal! Since 1945 (72-yeaars) the EU countries have relied on the US for their primary defense while enjoying major economic trade advantages. 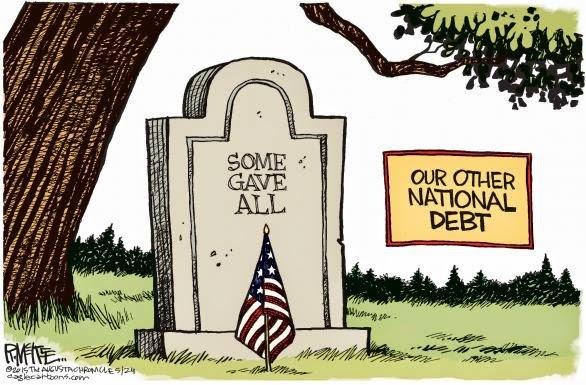 Now Trump wants Europe to meet their 2% GDP commitment to NATO and start renegotiating trade agreement and they are acting like college grad millennial’s being asked to move-out on their own. What did NATO and the EU do to stop the Syrian debacle that has resulted in the biggest humanitarian disaster since WWII and swamped Europe with ISIS terrorists? What did NATO and the EU do to stop the Russian invasions into Ukraine and the annexation of Crimea? Is it not US troops that have been deployed into Poland to challenge Russia’s threats against its old Baltic slave-states? The Trump policy to get Europe, the EU and NATO to get their act together and stop exploiting US taxpayers and US military assets is right on target. Why aren’t the Democrats and their Pravda Media supporting this important change? Roanoke Times, 5-28-2017, Pg 3: Source: Kushner back channel with Russia involved Syria. It is good news that immediately after the election, Trump advisors, including Kushner, were reaching-out to the Russians to repair some of Obama’s incredible policies that helped turn Syria into one of the biggest man made humanitarian disasters since WWII. Plus the wounded and a massive refugees disaster that has over-run the EU and enabled ISIS to flood the EU with terrorists. 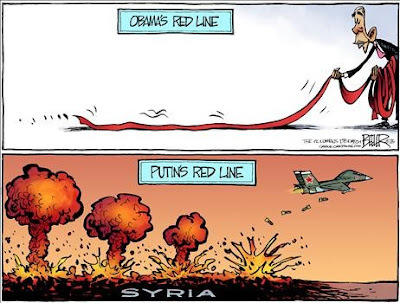 Back-channels, Front-channels – any channels that kick-starts a dialogue and plan with the Russians to stabilize and end the Syrian War is a worthwhile endeavor and Obama’s Pravda Media should be helping this effort, not trying to make it out to be sinister. Putin: You Want A No-Fly Zone? I’ll Give You A No-Fly Zone! Kaine’s Kid Again: Proud Of Our Senator’s Statements? Va US Dem Senator Kaine’s explanation of his son’s illegal actions and behaviors is that the only really bad thing he did was ‘resist arrest’. Really? That’s a felony for most people – isn’t it? Not one word about Obama’s tirade against the US antimissile defense system that was totally compatible with his “the cold war is history” proclamation during the debates. Obama is committed to stop and scrap our anti-missile defense systems. Obama says he was born there -- but he's not there now! This is indicative of the environment the “Obama-Judges” are creating here in the US with their politicalization of our immigration laws and processes. Note: ObamaJudges (many actually promoted by Obama) use prevailing social, political and economic trends as their standard and not "The Constitution", as required by their oath. “Judge Paul Niemeyer, one of the three dissenters, said the majority "looks past the face" of the executive order. The approach "adopts a new rule of law that uses campaign statements to recast the plain, unambiguous, and religiously neutral text," Niemeyer, a George W. Bush appointee, wrote. "Opening the door to the use of campaign statements to inform the text of later executive orders has no rational limits." When in the history of the US has a court used statements from a campaign as the basis for a decision on a legal document or law? Where in the US Constitution does it state that persons from other countries have “the right” to enter into and stay in the US? The precedent by the Obama-Judges is clear --- the US no longer has borders or executive controls on entry. Many of the Obama-Judges were installed by Obama and Reid by invoking the “nuclear option” with the support of ALL the Democrats in the US Senate. Special recognition to Virginia's Warner and Kaine. The bomber killed 22 and severely injured over 50 others, most were youngsters. When Will The Obama-Judges Join The Fight Against ISIS and The Radical Muslim Terrorists? Down With General Lee! Long Live Comrade Lenin? Throughout the South, folks are busy taking down statues of ‘War Between The States’ Confederate Generals including General Robert E. Lee. This “cleansing of the soul” is being advertised as removal of the last visible vestiges of racism and segregation. Really? One only needs to come to Roanoke, Virginia to find racism and segregation are very much still with us in both reality and perception, and it turns out that racism is a two-way street. It’s of interest that on my last trip to The Sanctuary City of Seattle, I saw a large statue of Lenin “The Father of Communism”. Why would the people and city of Seattle continue to tolerate having this statue on display for all to see? 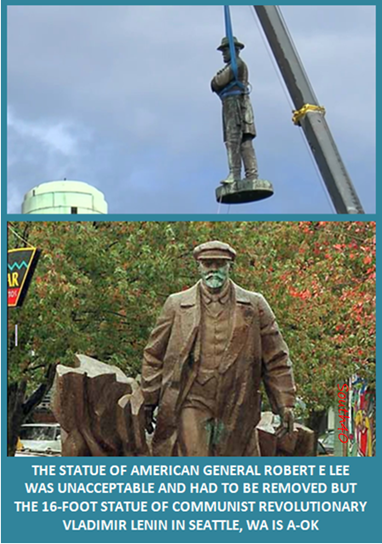 Especially since almost all Lenin’s statues have been removed from the countries freed from the Soviet breakup. Perhaps the road to changing our attitudes and behaviors runs through our hearts and minds and not our historical statues and symbols. One might wonder what their views would be on today’s actions? Does Replacing A Flag Replace Racism? Who are John Solomon and Sara Carter and Tyler Durden? What news entities are Circa and Valleynewslive and Zerohedge? Where are ABC, NBC, CBS, CNN and their thousands of investigative reporters? Move along folks --- nothing to see here! All this “concern” and the deployment of key assets in the Secret Services (CIA, FBI and NSA) to “focus on ‘it’ exclusively”. No Known Complicity with Russians or Law Breaking by any Trump people. Who, during that time frame, were private citizens working on a political campaign, not government employees. Given the major application of US Intelligence Assets by Obama’s Team, over a six-month period, one would expect that either illegal activity had been “recorded” or there isn’t any. What new news could possibly show-up now? Unless of course, there are those who are manufacturing new-news and will be leaking it to the Pravda Media on a weekly basis. Isn’t is interesting that Obama’s Intelligence Chief launched this major campaign against Trump campaign people but apparently totally ignored the Russian-Hillary-Bill Massive Slush Fund and the Uranium give-away? Hillary as Sec. 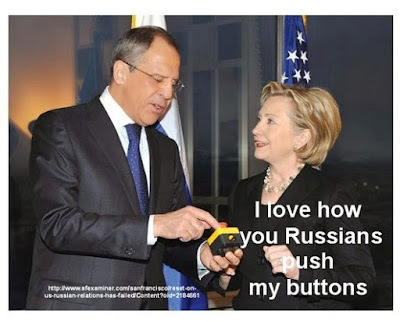 of State oversaw the Russian take-over of 20% of the US uranium-ore reserves at the very time those same Russians gave Bill $500,000 for a little speech! 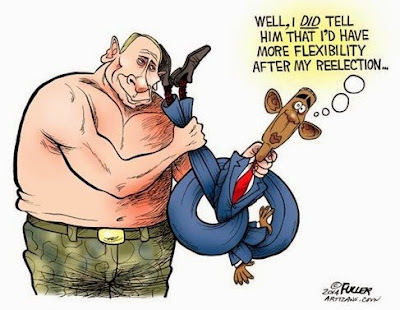 Remember Obama’s “I’ll have more ‘flexibility’ after the election! When Will The Obama-Judges Join The Fight Against ISIS? Did The Obama-Judges (who have been so interested in what civilian Trump said on the campaign trail) watch and or read President Trump’s speech to the leaders of 50 Muslim Nations in Riyadh? Did The Obama-Judges watch the latest work of the Radical Muslim Terrorists in Manchester last night? An appropriate “wakeup call” since they seem to have forgotten the carnage here in the home-land for the past 16-years. Perhaps it’s time for the Obama-Judges to face the reality of the risk to our people from ISIS-type terrorists and help in protecting our people and our assets. PETA Kills “Ringling’s Greatest Show on Earth”! Hurrah? Roanoke Times, 5-22-2017, Pg 3: ‘Greatest Show on Earth’ takes its final bow. “Elaine Bario, a 57-year-old usher at the Nassau County Coliseum, said she's seen the circus every time it's been on Long Island — some years as a child with her father, who also was an usher at the same venue. 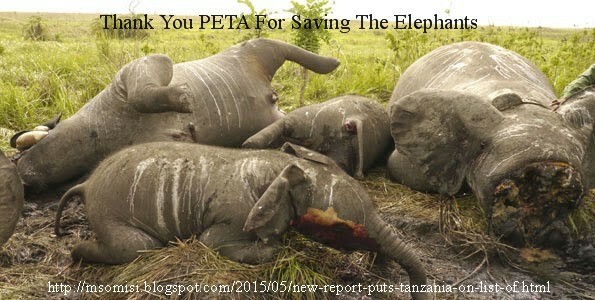 Thank You PETA for saving the Elephants – NOT! Central Africa has lost 64 percent of its elephants in a decade." Really? And prey tell where does the DGIF get “their” money they are so willing to spend on this spurious project? It’s the taxpayer’s and sportsmen’s money – Not Their Money! There may well be valid reasons to remove this dam and turn the river through Lexington into a very limited use stretch of water; however, the drowning of a swimmer 11-years ago isn’t it! 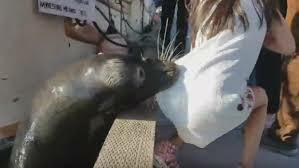 After a large sea lion made an aggressive move toward a little girl, the parents allowed the girl to sit on the rail the sea lion had just breached. 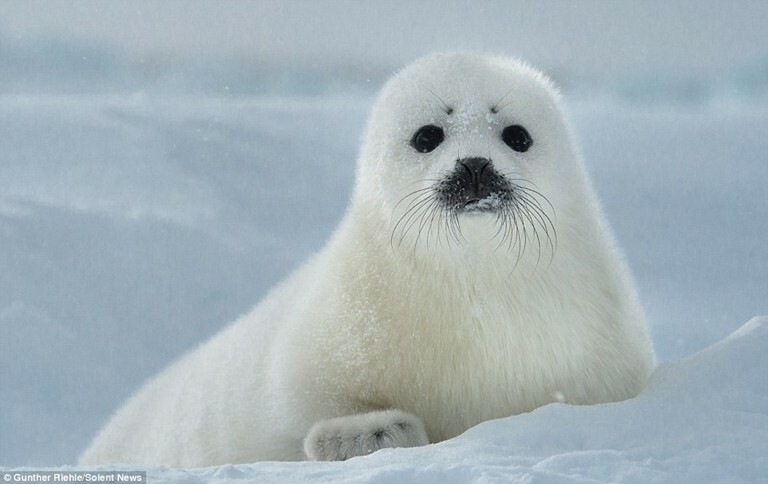 Apparently the little girl looked enough like a young harp seal for the sea lion to grab her and jerk her down into and under the water. Fortunately, for what ever reason, the sea lion let her go instead of swimming away under the water with his new-found lunch. Apparently these parents don’t understand that: Wild Animals are WILD. Don’t they watch the Nature Channel? Ever watch parents let their little children walk right up to a strange dog? Be AFRAID – Be Really AFRAID NOW! o Cancellation of the Reagan “Star Wars” anti-missile defense system. o Massive reduction in military funding and assets. o Ignoring and marginalizing the North Korean development of nuclear weapons and ballistic missile delivery systems testing. 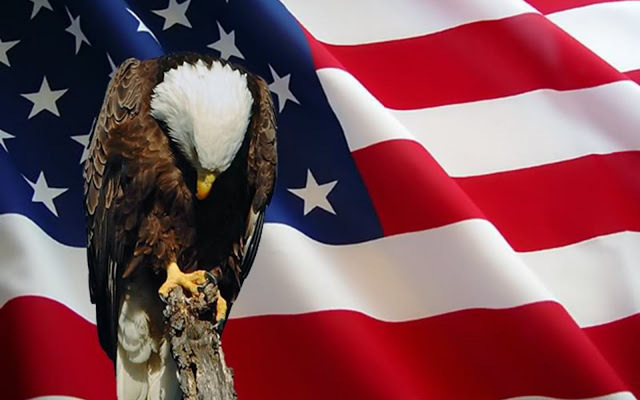 o The capitulation to Iran’s development of nuclear weapons and ballistic missile delivery systems testing. NOW – all of a sudden – BE AFRAID! Really? Why all of a sudden Now? 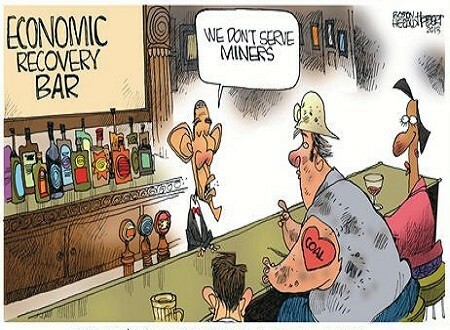 The outcomes of Obama's actions and policies were self-evident! Obama’s term just ended 4-months ago today and now without him we face Mutually Assured Destruction MAD. Really? How soon can we get Obama back to save us, the world and humanity? It’s wonderful that he stayed in DC so that he (and his house guest Valerie Jarrett) are only a 20-minute ride back to the White House. Has there ever been, even in the Soviet Pravda Press, any so called “news media” that is so biased and slanted and a front-organization for an anti-government movement? Has there ever been such a level of insult to the intelligence and the electoral choice of the American people? Obama-Kerry-Clinton North Korean Nuclear Strategy Working: BOOM!